Improve the usability of textareas in the Gravity Forms Form Editor by launching an expanded textarea in a modal window. 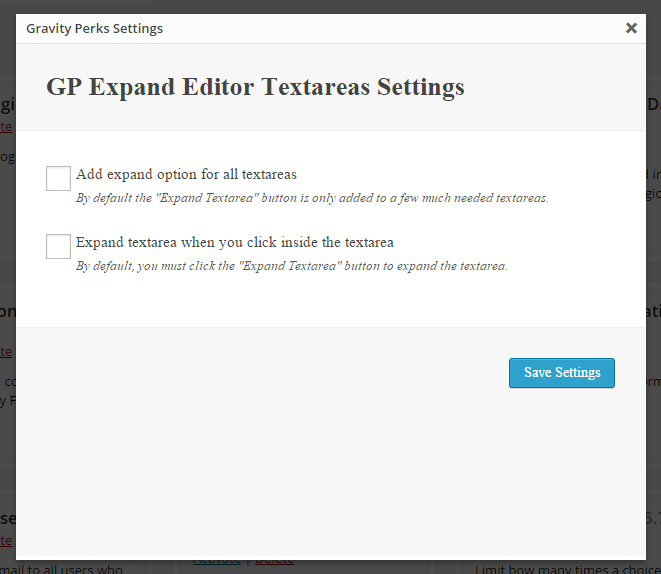 The Expand Editor Textareas perk makes working with textareas in the Gravity Forms Form Editor much easier by launching an expanded textarea in a modal window. The expanded textarea is much larger, increasing the readability and ease-of-use when working with larger amounts of content. By default, this perk adds an “Expand Textarea” button to specific set of field setting textareas that would most benefit from having the expanded textarea (specifially the “HTML Content”, the Calculation “Formula”, and the Post Body “Content Template” textareas). Clicking the “Expand Textarea” button launches the Expand Textareas modal for easy editing. Enabling the default functionality is very easy. 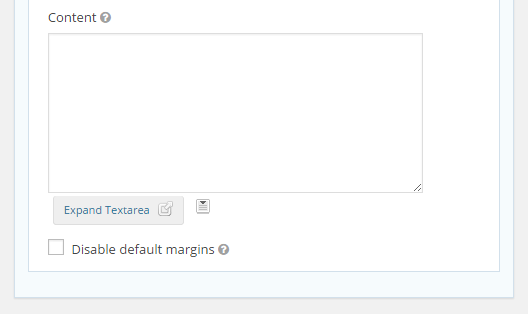 Simply install and activate the Expand Textareas perk and “Expand Textarea” button will appear directly below the default textareas. Clicking this button will launch the textarea in a modal window. Add or modify the textarea content and click the “Insert” button to preserve your changes to the textarea. Note: Additional configuration options are available for this perk. There are a couple additional options that can be configured from this perk’s “Settings” page. This perk’s global settings are available by navigating to the Manage Perks page, finding the GP Expand Editor Textareas perk on this page, and click in the “Settings” link below the perk title. By default the “Expand Textarea” button is only added to a few much needed textareas. Enable this option to make the “Expand Textarea” button appear for all Form Editor textareas. By default, you must click the “Expand Textarea” button to expand the textarea. Enable this option to automatically launch the expanded textarea modal when you click on the textarea to edit. Nope! That’s pretty much it. 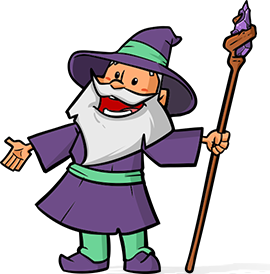 If you have any questions on this functionality or just want to say how much you love it, make sure you come back to GravityWiz.com and leave us a comment. Fixed conflict with Magic Tooltips plugin.